The family history of the ancient name Bryson was found in the irishsurnames.com archives. Variants of the name Bryson include Brisoun, Brison and Briceson. This is an old name of Norman origin meaning 'son of Brice'. 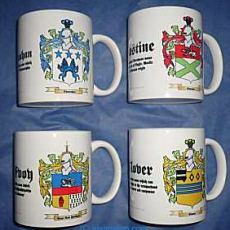 This name is found throughout England, Wales and Scotland and is found in many ancient records. 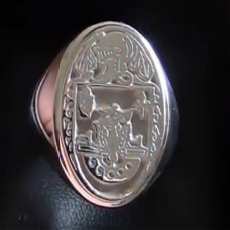 Examples of such are Duncan Briceson who was recorded as having being part guilty of the slaughter of Walter de Ogilvy, Sheriff of the Mearns, in the year 1392. A William Bryson was recorded as a Scots prisoner of war who was liberated from the Tower of London in 1413. 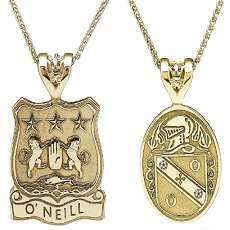 In Ireland the name Bryson is an anglicized form of the Gaelic O'Muirgheasain sept name, the sept having been located in Counties Derry and Donegal. This name was originally changed to O'Mrisane and O'Morison before later being anglicized as Bryson and Briceson. 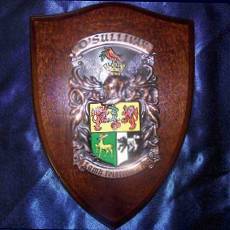 The Bryson family crest (or coat of arms) came into existence many centuries ago. 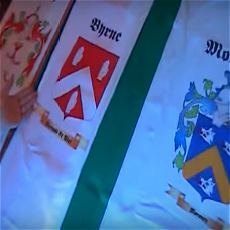 The process of creating these coats of arms began as early as the eleventh century although a form of Proto-Heraldry may have existed in some countries prior to this, including Ireland. 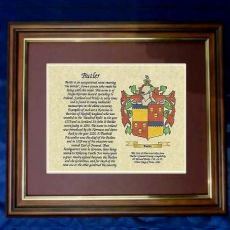 The new more formalized art of Heraldry made it possible for families and even individual family members to have their very own family crest, coat of arms, including Bryson descendants.